If you would like to donate to EACH, please click here. Don’t forget that every donation will help, no matter how small. You can find out more about the amazing work EACH is doing to help local children by visiting www.each.org. Thank you for your support! 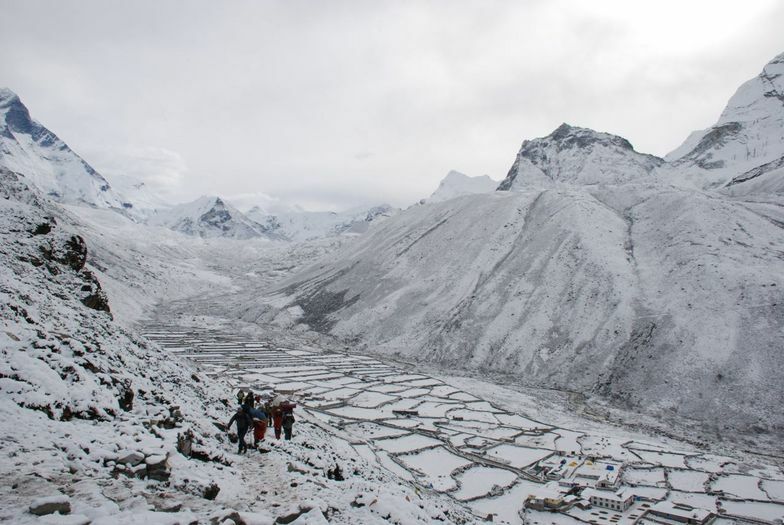 Gather Sherpas, Porters and Yaks – commence trek along Dudhi Koshi river to Phakding,at a height of 2,650m. 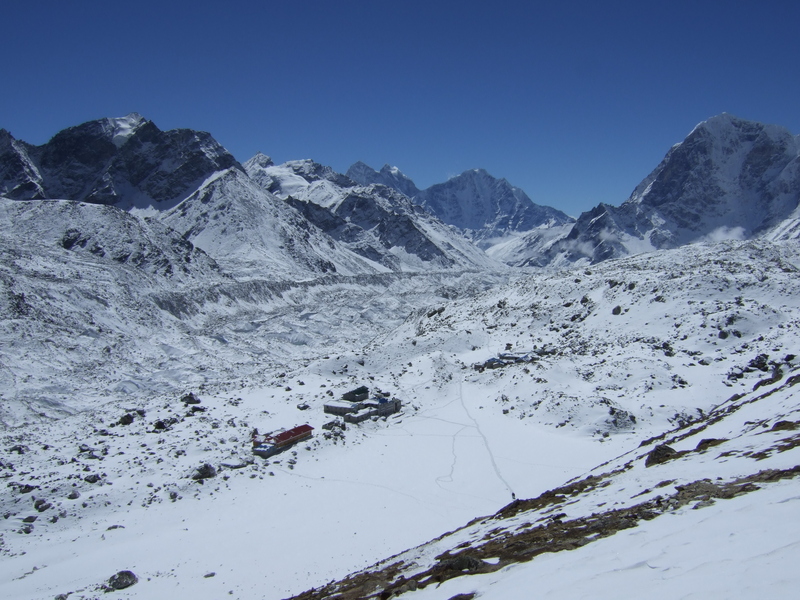 Gorak Shep to Everest Base Camp and back to Gorak Shep. If you would like to donate to the expedition, and in so doing help raise money for EACH, please click here. Thank You. Hi there. Thanks for picking up my blog. 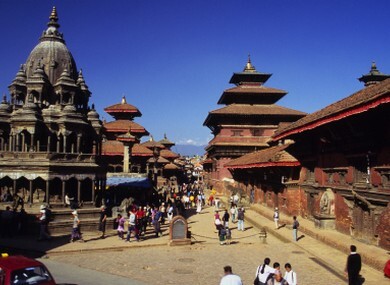 I might suggest traveling from Lukla to Phakding or Monjo the first day. From Lukla to Namche is too long a haul unless you’re in excellent shape. 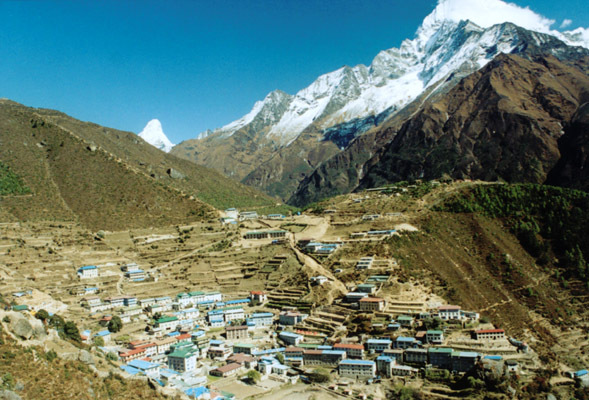 I also noticed that you go from Dingboche to Lobuche in one day which many people do. I’d strongly recommend that you stay at Dugla for acclimatization purposes. Plus, Dugla Pass won’t be on your afternoon. You’ll be real tired by then and that it’ll be the last thing you’ll want to do. Understand, each day gets harder as you go and there won’t be a reprieve until you are on your way down. My mistake Eli. You ARE going from Lukla to Phakding. I would build in some flexibility into your schedule though. Dingboche to Lobuche is doable but I don’t think I’d want to do it myself. Plus, I looked again, Lobuche to EBC in one day? That’s too long a day. From Lobuche you have to climb the Lobuche Pass. Once you’ve made the pass you will have a series of hills to go up and down until you reach Gorak Shep. You’ll be dead tired once you reach the village and you won’t want to move the rest of the day. It’ll be because of the altitude. Then from Gorak Shep to EBC will take you two hours. You might also want to consider an extra night over on the way down. 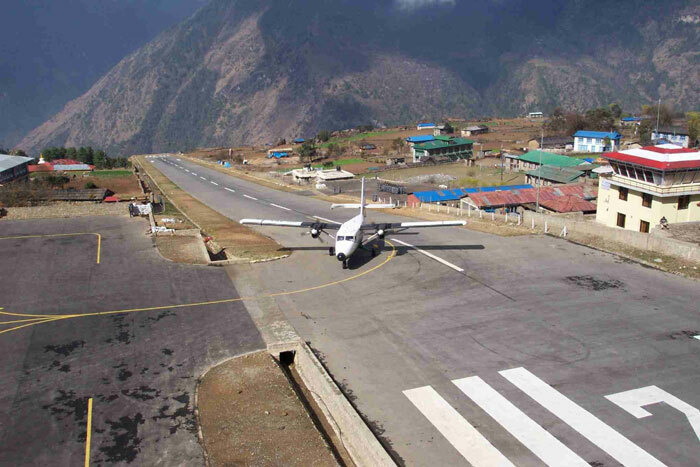 And what happens if your mountain flights don’t arrive and depart from Lukla on time? Best to build in some flexibility for unforeseen circumstances. You can absolutely reach base camp but I’m a conservative planner. I think fear or at least trepidation is a natural feeling for many people. The landing in Lukla is an adventure. The suspension bridges can be too. If you just remember that you can’t do it all in one hour or even two, then you’ll be alright. Once you get to Dingboche you’ll begin to get the sense of how desolate the world is in these parts. But it really doesn’t smack you fully until you reach Lobuche. If you don’t have hiking trails in the mountains where you are, definitely get going on the stair master or at a large stadium to run stairs like Jillian suggested. Indispensable for me were four pairs of Smart Wool socks, four pairs inner sock liners, and a heavyweight Ibex Wool Merino Poolover. This area is as flat as a pancake – all fens. I think I will be up and down my stairs a lot. Thanks so much for all of your advice. Be sure I will be asking plenty more questions if that’s okay. Ask away. You might do better if you could find a soccer or rugby stadium for working out on stairs. Take them two at a time because that’s the height of the stone blocks you’ll be climbing. Whoa! All the Everest-trekking-bloggers are here! How fun! We can literally advise Keith half to death (wink). 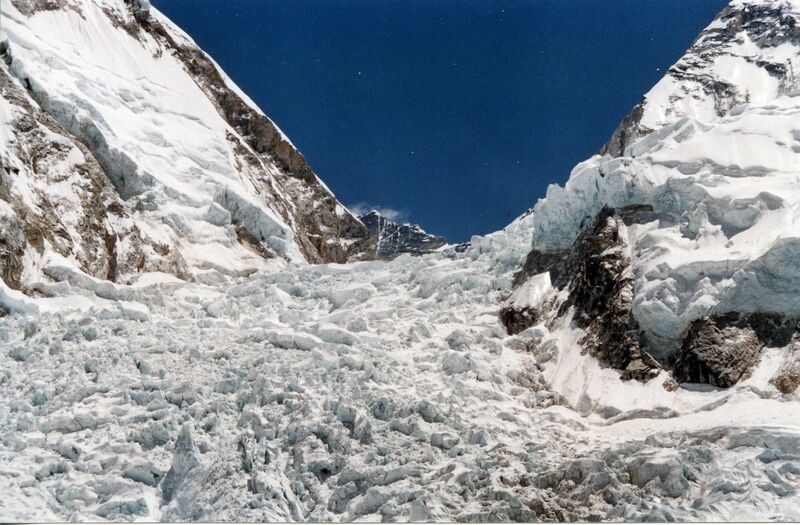 Scott’s advice is solid – we went from Lobuche to Gorek Shep (4am-7am), ate breakfast, and then climbed Kala Patthar. Done by @ 1pm. Tough day. Three of our group went on to EBC that afternoon, but the rest of us crashed out for the night. Altitude will be the main problem here, and chances are good that you won’t have an appetite and won’t have consumed enough calories. You might also have a ridiculous headache. You won’t know until you get there, but building in some extra time is the best idea. Congratulations again on your decision to go to Everest! It is a special treat. DEATH! Did someone say death? Calories. All I have to say are four words…Honey Stinger Waffle Bars. I brought 32 of them with me and they were my saving grace on the trail. Somewhere along the line every day you’re going to be wishing you could have more calories. I suffered from appetite suppression, lost 12 twelves pounds on the trail. But these energy bars are very light and can give you a boost when you desperately need it…like halfway up to Namche, halfway up to Tengboche, somewhere along the way to Dingboche…you get the idea. These energy bars are ideal and take plenty of water on the trail with you as well. Oh. Jill. Did I ever mention to you that I’d start my morning with a liter of tea? Trekking tip for Keith. Hydrate, hydrate, hydrate. I had a liter of tea EVERY morning. Soup with lunch, soup with dinner, and water throughout the day. I came down with a few headaches but nothing like what I saw from other trekkers. Nah. You’ll be able to get beer on the trail. Not the quality that you’re used to but it might be good enough in a pinch. Who told you about my Brit drinking habits, lol. But seriously, I’m not touching a drop on the trek .